Product #60626 | SKU HXR-MC88 | 0.0 (no ratings yet) Thanks for your rating! 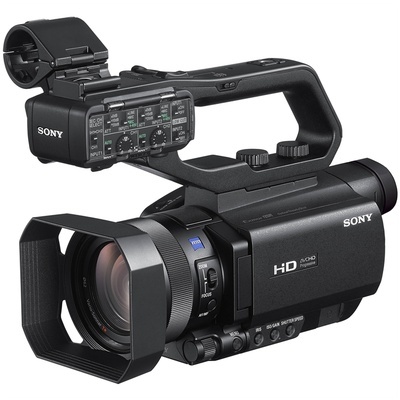 To cater to the demands of today’s diverse shooting requirements, the palm-sized and lightweight Sony HXR-MC88 Full HD Camcorder is equipped with the advanced BIONZ X image processing engine, producing more lifelike images and allows for addition of new features that takes advantage of its fast processing. Its large 14.2 megapixel 1.0-type stacked Exmor RS CMOS sensor delivers impressive background bokeh defocus effects and superior sensitivity for capturing high-quality images with less noise, both dark or bright conditions. Clear and steady pictures are achieved even in dark scene with minimum illumination at 1.7lux (1/30 seconds), allowing content creatives to focus on what they do best. Leveraging on Sony’s expertise in image quality and heritage in camera development, the HXR-MC88 features the Fast Hybrid Auto Focus (AF) System, ensuring that fast-moving subjects are captured with amazing sharpness. The HXR-MC88 comes with 12x optical zoom, which can be doubled to 24x with Clear Image Zoom while maintaining full resolution using Super Resolution Technology. In addition, the 14.2 megapixels CMOS sensor and Sony’s Digital Extender can double this range up to 48x, to satisfy the demand for wide-angle to telephoto shooting in various scenes. The XLR audio input terminal and microphone holder add to its operability on top of sound quality and reliability in connection. With the built-in 4 Step ND Filters, the HXR-MC88 can adjust quickly to capture quality content in a multitude of environments, producing sharp, clear images without losing details anytime, anywhere. Ideal as a sub-camera in HD program productions, the HXR-MC88 records in AVCHD, a popular format among content creatives, enhancing editing freedom during post production. Further, users can remotely control the camcorder using the RM-30BP remote commander as well as stream live events through a simple and affordable production ecosystem, when paired with the MCX-500 multi-camera live producer. The MC88 has an enhanced 0.39" 2.36 million dot OLED viewfinder and a 3.5" 1.5 million dot LCD. The high-resolution OLED viewfinder offers quality brightness, contrast, and response, giving you better control of manual focus operations and eliminating any colour-breaking phenomenon. The proprietary Multi Interface Shoe allows the camera to talk directly to a range of accessories from Sony without requiring separate wiring. The included dual XLR handle allows two 3-pin XLR inputs with 48V phantom power to connect to the MI shoe, and can be removed to utilise other MI accessories.